We all have some immigrants who came from a family homeland in another country to resettle in America. 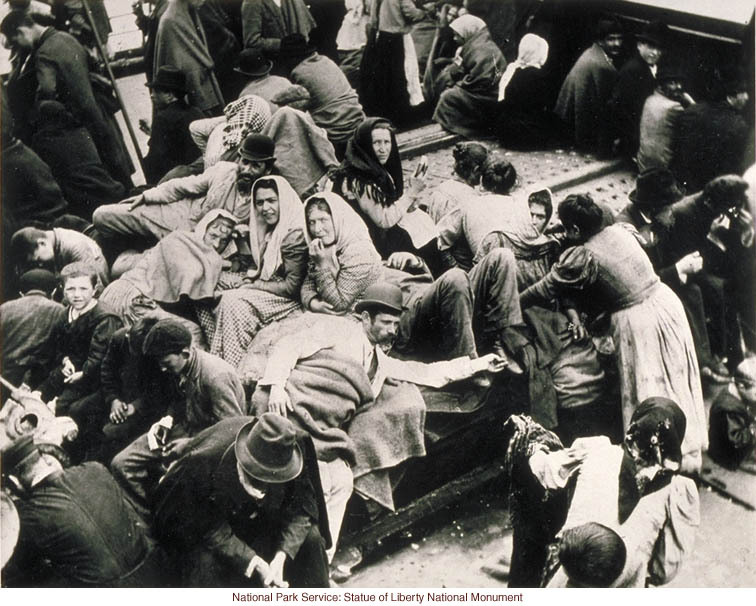 The online database with FamilySearch.org has even more records added to the collection of passengers arriving in New York between 1820 and 1950s. Keep in mind there would also be travelers, born American citizens who would have traveled by ships to other countries and then returned to the United States. So a variety of people can be found on these databases. If you had not done so yet, you do need to set up a username and password to use the FREE FamilySearch.org database. Once you login, select from NY passengers Arriving to Castle Garden 1820-1891 (this is before Ellis Island was opened) or select passengers arriving at Ellis Island 1892 to 1924 or all arrivals (ships and planes to NYC in 1909 and 1925 to 1957. Place a surname or a full name and then look over the listings to find those that are close to the ancestor you are looking for. The click on a selection and there will be a transcribing of the manifest of the ship plus a scanned image of that manifest. Do check the actual manifest, zooming in if needed there can be some additional info on the individual. Just placing a surname and seeing the various people with that name coming during different time frames from different locations is an eye-opener. Unless you already know all your extended relatives, there could be some new ones located. The ships and planes of 1925-1957 will have more American travelers, those who are US citizens traveling to other places. With extra ship manifests (listings) added, you do need to review the links by FamilySearch.org. 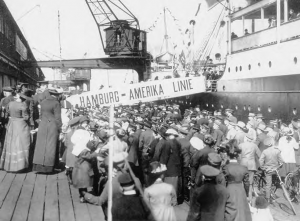 Photos: Immigrants; James Kershaw arriving from Ireland at Castle Garden in 1845 on the ship Patrick Henry; Kershaw Family arriving in 1886; ships and 1939 ship from Mexico to NYC with American passengers.